Cross-cultural couples is back! After a hiatus we decided to pick it up again and continue this amazing series about the lives, love and tribulations of mixed Southeast Asian couples. Do you want to be featured and share your story with our readers? E-mail info@latitudes.nu for more info! 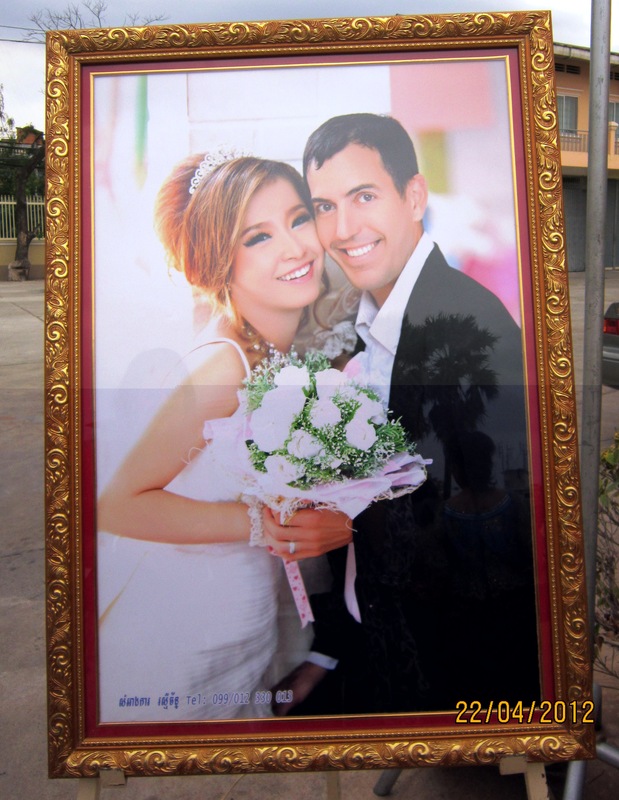 This story takes place in Cambodia where, On April 22, Tommy and Leaksmy tied the knot, Cambodian style, after a courtship which began two years ago during a chance meeting while Tommy was on holiday. Here is their story. Please introduce yourselves, what are your names, where are you from and where do you live? We are Tommy and Leaksmy Boukhris (formerly Leaksmy Im Pengsary), aged 42 and 27, respectively. 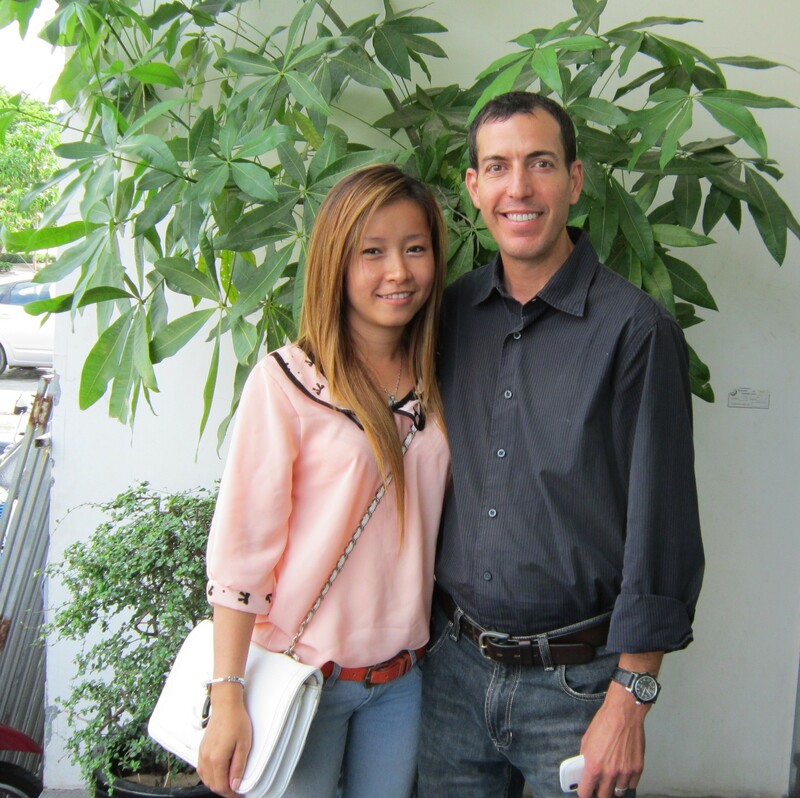 Tommy is from Austin, Texas and Leaskmy is from Phnom Penh, Cambodia. Later that day on the trip back to the city, I asked my friend, Savuth, and his sister about Leaksmy and told them I wanted to see her again. Two days later, Leaksmy and her mom came to Savuth’s sister’s home and we all had breakfast together. Followed by lunch. Followed by dinner. And we spent all day in between meals together. This same pattern was consistent every day. Her family was very welcoming and curious about me and I loved having the opportunity to spend time with her. After a while, I had to go back to Austin so we continued with the relationship long distance through phone, IM and email and I came to visit Leaksmy a few times over the next couple of years. Since Leaksmy’s English wasn’t that good, she often used a dictionary to make sure she knew what she was writing on email. As for me, I remember the moment when I decided to move here. It was in November last year and I was watching the State of the Union address on TV. I’d asked Leaksmy not to call during that time as I wanted to pay attention to the speech but the phone rang in the middle and I could see it was her. I picked up the phone and discovered she was calling to tell me her father had just passed away. At that moment, I decided it was time for me to be with her. I’d been looking for a job anyway and now wanted to take over as breadwinner for Leaksmey instead of working in Texas. So I bought a ticket and flew to Cambodia. 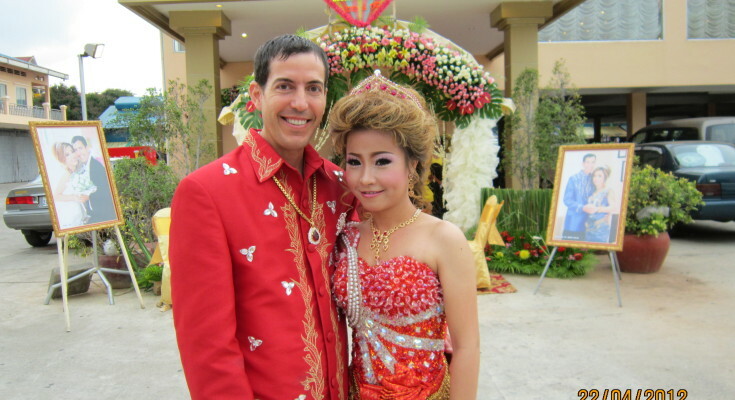 What does it mean to your relationship to be of two different cultures? It means that love breaks barriers and crosses boundaries. I (Tommy) am from an Arab American background and, while we come from different cultures, we both grew up with very similar values. Somehow, we just “get one another” and it just feels right. There are areas of difference too, of course. Nothing significant, but minor and subtle behavioral habits that are developed at home and through cultural socialization. We are both pretty sensitive to whatever differences we have and realize that differences are not necessarily a problem. In many cases it has enhanced our relationship. Has it ever caused any problems or miscommunication? We’ve had little miscommunications, but it was rarely due to our cultural differences. In the beginning, we had small difficulties in understanding one another because of language but it doesn’t seem to be much of a problem anymore. 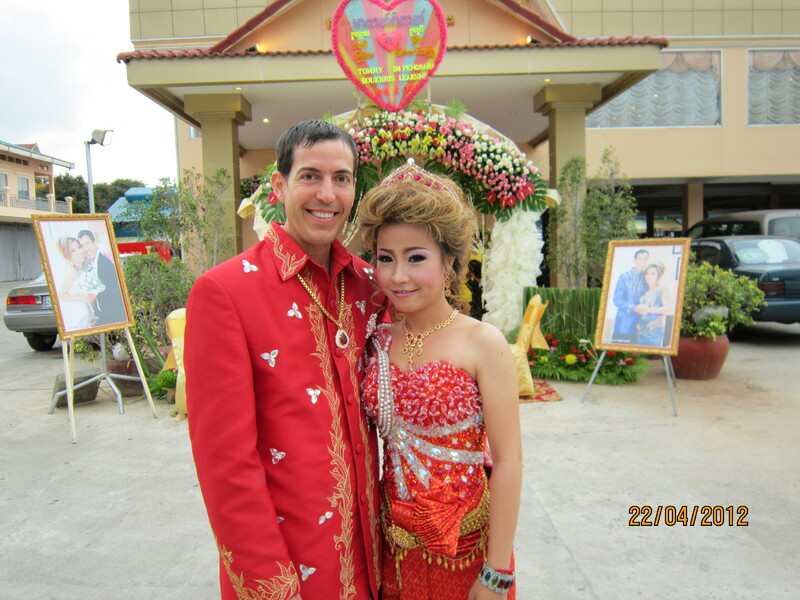 Culturally, there are some differences in the way we do things, such as the traditional role of the male in a Cambodian relationship. Recently, her brother-in-law caught me doing the dishes and was pretty surprised since that’s not something men do in this country. I’m also aware of Arab traditions since that’s my family background. For example, giving a “thumbs-up” in an Arab country is very offensive and here you learn never to touch people on the head as it shows disrespect. How did your surroundings (families, friends, culture) react to your mixed cultural relationship? Most people close to me (Tommy) know that I grew up around people with different cultural and ethnic backgrounds and that I’m very comfortable around people from different backgrounds. So they weren’t surprised that I was in a serious relationship with someone from Southeast Asia. Almost everyone was excited for me and my mom was particularly happy and supportive, welcoming Leaksmy as her own. They are even friends now on Facebook! I did, of course, receive advice dealing with cultural differences from friends and I know it was done out of love and interest in my wellbeing. As for reaction from culture, I found the vast majority of people expressed a real interest in our relationship and were overall quite supportive. Austin is a progressive city and interracial/mixed culture relationships are very common. We’re now both living with Leaksmy’s family in a household where there are 11 people (Leaksmy’s mother, four sisters, brother-in-law, two cousins, three kids and a baby) but it’s really comfortable and we have plenty of space. And I’m now looking for a place of our own. What are the biggest challenges you had to overcome? While my Khmer continues to develop (Tommy), there is a communication gap between myself and some family members, including my mother-in-law. I would like to have my Khmer at least at conversational level so I can more fully participate in family discussions. What are the best things that this relationship brings you? Our shared values are central to our relationship, which above all else has made getting to know one another pretty natural. We get each other and this is something I especially like. It’s a relationship which is fun and comfortable at the same time and feels very different to many western romances which are often fraught with drama and superficiality. This feels much more real to me. What makes you a perfect fit? We both live simply and don’t like a lot of fuss and drama. We find value in family and friends and don’t try to be anything that we’re not. We also have simple expectations, both of each other and of other people. What language do you speak with one another? English is our primary language, and Khmer secondary. As Tommy continues to learn more Khmer he tries to use it in sentences and communicate more effectively with the family. Are religious differences an issue between you and your partner? Tommy is Catholic and I (Leaksmy) am Buddhist. While the religious differences are significant they do not cause huge roadblocks or issues. At the beginning, we both knew about our religious faiths and respected one another’s histories and faith development. Tommy even asked my dad if he was okay with me going to mass with him out of respect for any issues or concerns he may have. And we’re planning on having a Catholic priest bless our marriage before too long. Tommy is working in Phnom Penh so we will stay here for the foreseeable future and eventually want to move to Austin. We want children and would like to have our first while we are here in Cambodia. 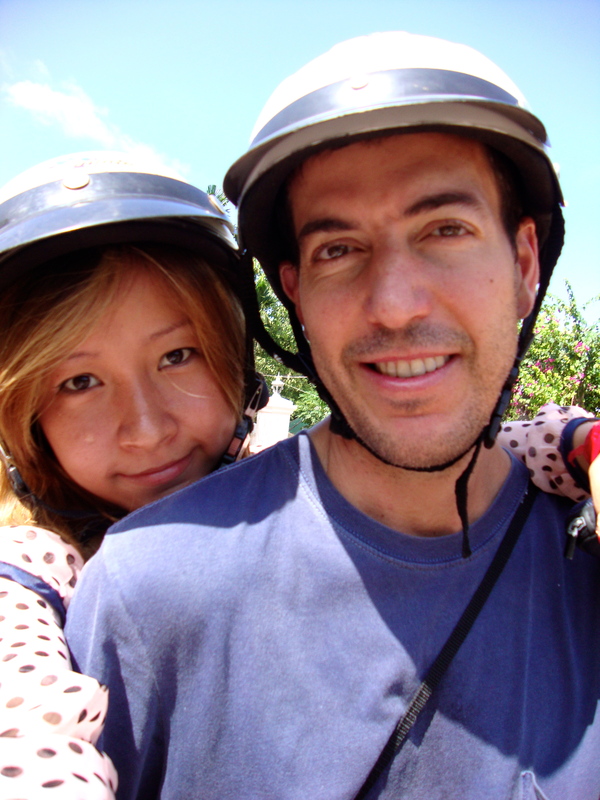 We would like to travel together but we also have financial goals so that we have enough to provide for our families. Do you have any tips for other mixed culture couples? It seems to be quite simple: be flexible and understanding. I’d say that anyone who is not used to travelling and being around other cultures should be cautious about entering into a relationship with someone from another country as there will be differences.